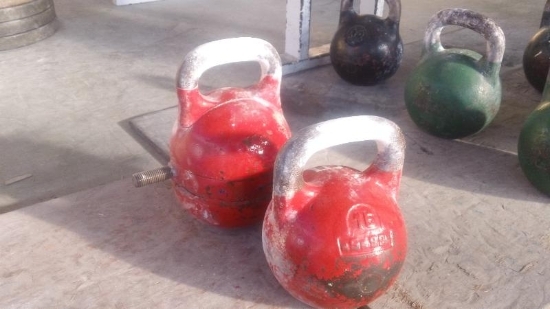 Kettlebells have been around for centuries. In fact, they gained recognition as a superb weight loss tool when they were featured in the fitness magazine Hercules in 1913. 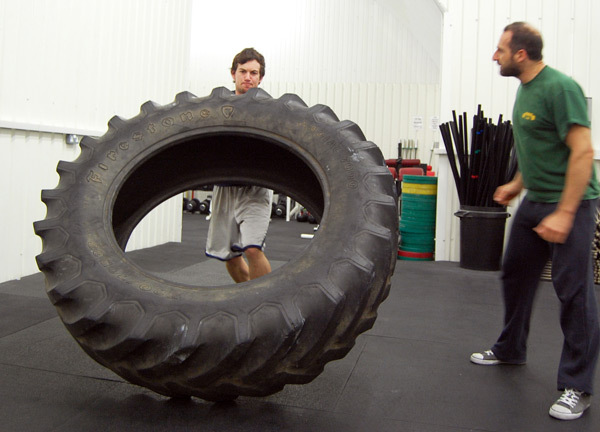 Nowadays, they have become very popular for their ability to direct a wide range of challenging and intense workouts. Kettlebells are extremely versatile and ideal for building strength, power, endurance and flexibility. Implementing kettlebells training in your training is a fantastic way to build great core strength and a strong and healthy posterior chain. Having the opportunity to train on a regular basis with Master Pantelis Filikidis (world Kettlebell champion) at his facilities in Greece, I incorporate kettlebell training with some of my clients and would hugely recommend it to anyone looking to bring a whole new dynamic to their usual routine. ‘Boxercise’ is an exercise based on the training concepts utilized by boxers. A typical boxercise workout may take the format of shadowboxing, skipping, hitting pads, press-ups, shuttle-runs and sit-ups. With the element of actually hitting your opponent absent, this form of training is suitable for men and women of all ages without the risk of injury associated with the traditional combat sport. It’s also an excellent way to release stress and most importantly to get fit while having lots of fun. 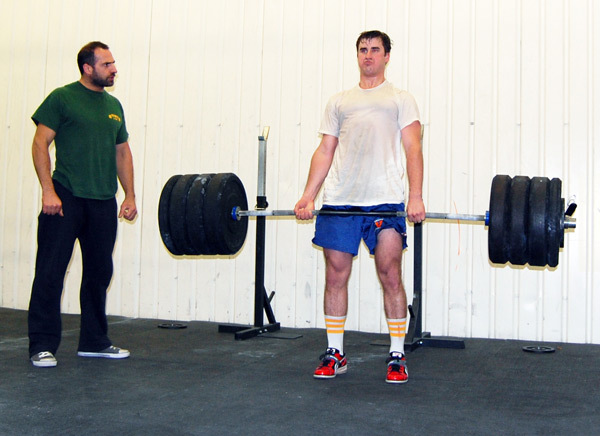 Metabolic conditioning (CrossFit-style training) is excellent for improving stamina, endurance as well as developing strength. Each workout is scaled to the client’s personal needs and abilities and usually varies to include a combination of diverse type of skills and drills such as kettlebells, boxing, weightlifting, gymnastics and free-body exercises. All training sessions are constructed to enable people with very little sports experience to reach their fitness potential. In addition, there is the great advantage of training in a superb gym environment where exercises involving ‘functional movement’ are the norm. No mirrors, no machines! 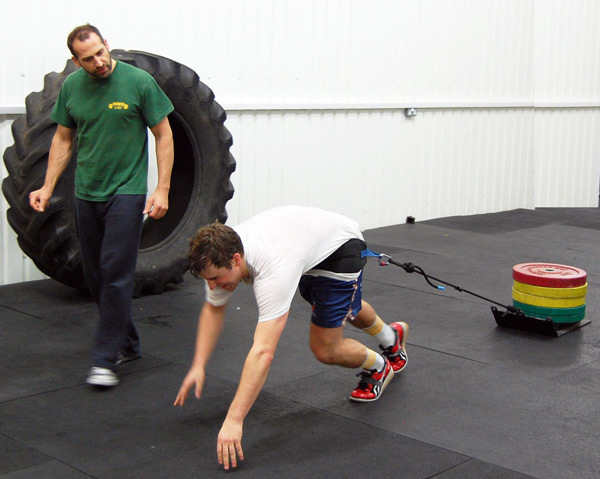 If you want to challenge yourself by flipping a tractor tire, pulling a sled, climbing a rope or using a sledge hammer this type of training is just right for you! Toning and strengthening of multiple muscles simultaneously. Increasing flexibility, balance and accuracy. Helping to burn fat quicker than by diet alone. 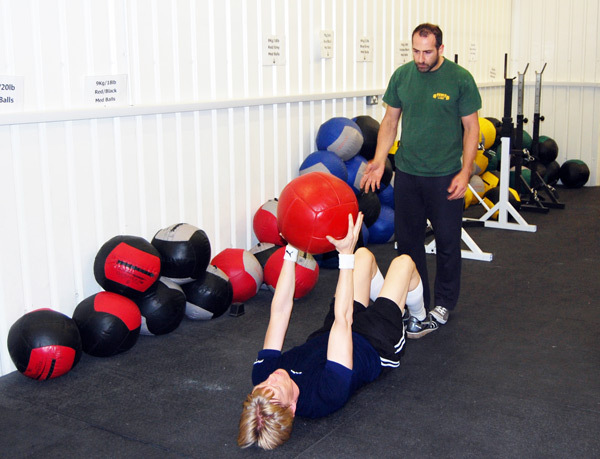 Improving core strength and stability, hence reducing the risk of back injury and back pain. Increasing cardiovascular fitness reducing the risk of heart disease, high blood pressure and stroke. Improving hand- eye coordination and posture. General health, well-being and longevity!